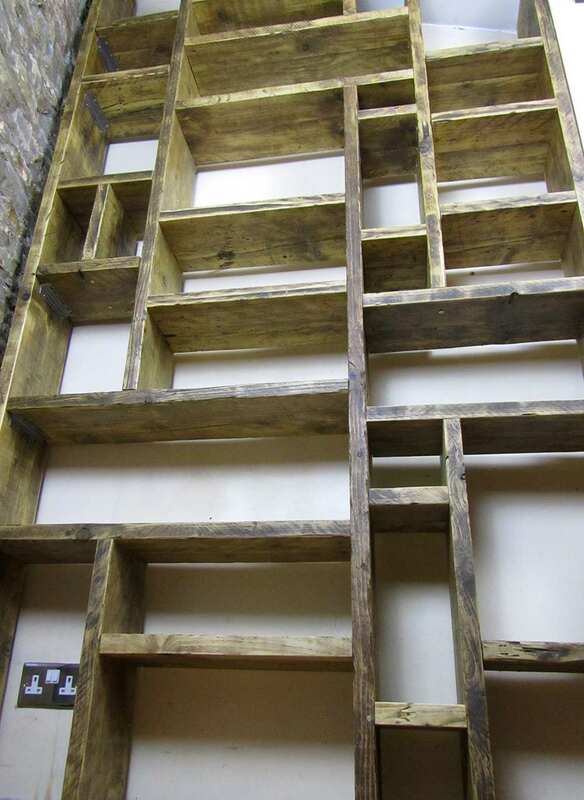 This made to measure shelving solution was built from reclaimed scaffold boards and was designed to fit in a dining room alcove. 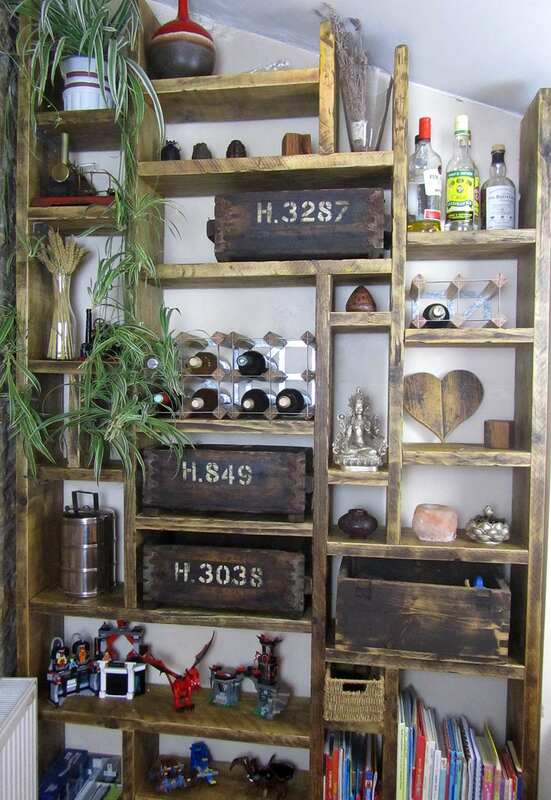 This type of unit would look great next to a fireplace, in an alcove or filling the entire wall of a room. It could also be used as a room divider. Available in any size, or shelf configuration. As with the other bookcase units, the standard depth is 22cm. Deeper units are possible but will impact on the price due to the extra joinery and wood involved. Contact us with your requirements to get a quote for a bespoke unit of this type. 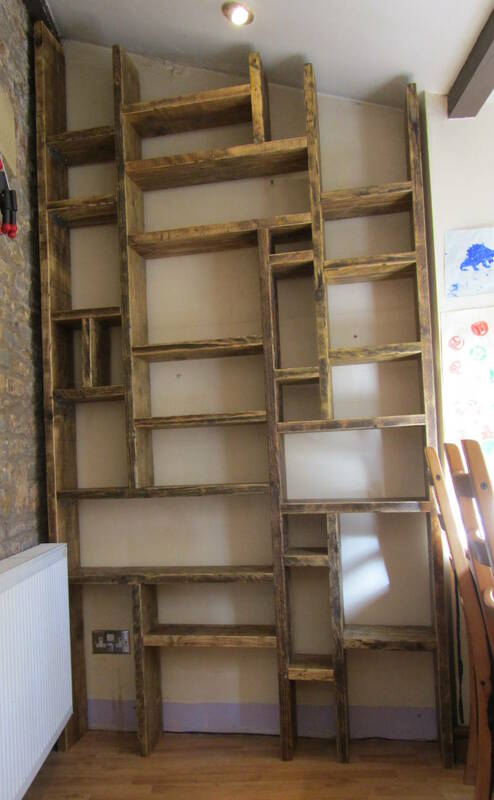 Click here for a gallery of bookcase and storage photos.